215km cycling event starting from Long Ashton, Bristol. Controls at Hill, Doynton, Glastonbury and Kenn, plus 3 information controls. Now in its 10th year! 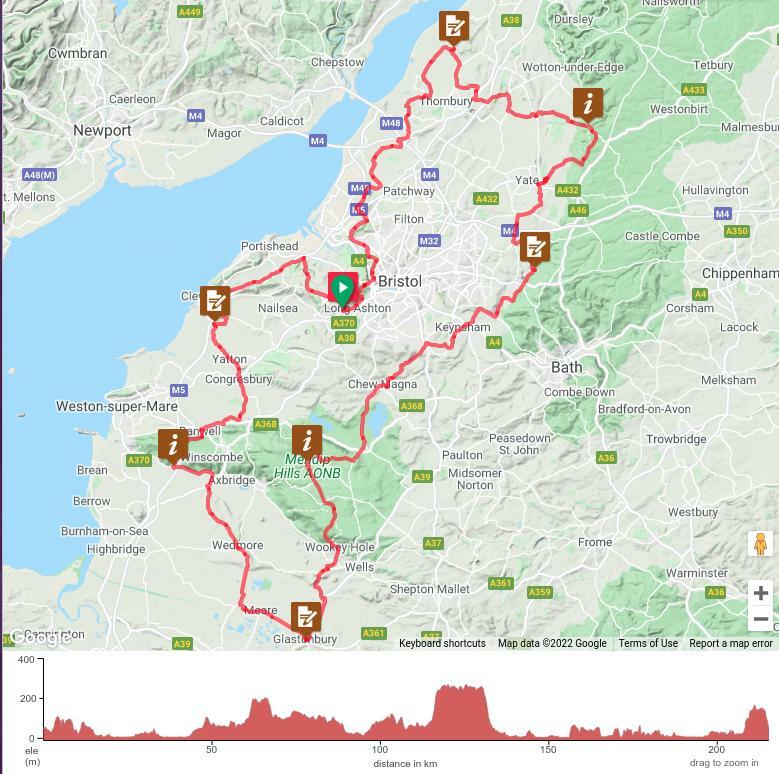 A challenging event with legendary catering that takes riders on an orbital route around Bristol before heading south to the Mendips and Somerset.